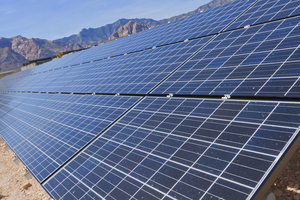 Photovoltaic solar panels convert sunlight into electricity. They do this directly with photovoltaics (PV). Another way this is accomplished is indirectly with concentrated solar power (CSP). With a concentrated solar power system, lenses or mirrors and sophisticated tracking systems are used to focus a large spectrum of sunlight into one small beam. The photovoltaic method converts sunlight into electrical power using the photoelectric effect. How do photovoltaic solar panels work differently than in other stages of human history? Individuals have been using solar power in various ways since the beginning of time. The power of the sun has been used to dry meats, fruits, vegetables and especially clothes. Many people today still rely on the sun to dry their clothes in the summer. Plants and animals wouldn’t survive without the sun. During the 1980s, scientists began to harness the power of the sun on a larger scale. Located in California’s Mojave Desert, the 354 megawatt SEGS is the largest solar power production plant in the world. Spain is home to two other large CSP plants – the Solnova (150 MW) and the Andasol (150 MW). Some of the biggest power plants in the world that use photovoltaic solar panels, exist in India. The Gujarat Solar Park for example, generates 214 MW. 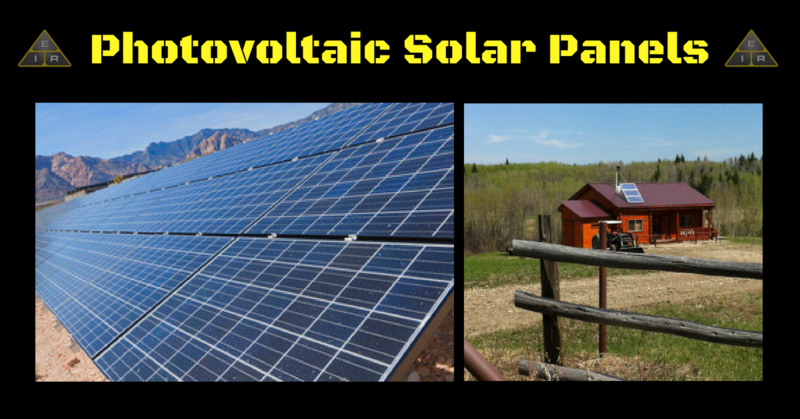 But Really, How Do Photovoltaic Solar Panels Work? Solar power cells convert sunlight into electricity. An upgraded industrial system will use mirrors or lenses to take a large area of sunlight and concentrate the light into a small beam. Once the light is focused, it can be used in various ways. The most developed methods include the parabolic trough, the solar tower, the Stirling dish and the concentrating linear Fresnel reflector. How Do Solar Panels Work With a Parabolic Trough? The parabolic trough is a conic mirror usually made of polished aluminum or coated silver that has a Dewar tube at the focal point, along its full length. The mirror reflects the sunlight and concentrates the heat on the Dewar tube. Normally the trough is aligned north to south and rotates in order to track the movement of the sun as it crosses the sky. A fluid inside the tubes absorbs the concentrated sunlight. The fluid is heated up to about 400°C. The heat transfer fluid then heats the steam in a standard turbine generator. The generator then supplies the power. The solar power tower uses movable, flat mirrors (called heliostats) to concentrate the light from the sun onto a collector tower. Early designs used the concentrated sunlight to heat water, which in turn would heat steam to power a turbine, just like the parabolic trough. New designs now use liquid sodium. These fluids have a high heat capacity, which can be used to store the energy before using it to boil water to drive the turbine generators. With this design power can be generated even on cloudy days. How Do Electric Solar Panels Work With a Stirling Dish? In the Stirling dish system the solar concentrator is in the form of a dish, where the mirrors are made of curved glass. The parabolic dish rotates with the movement of the sun throughout the day. The sunlight is concentrated and the heat is absorbed by the internal liquid, which is then transformed into grid-quality electricity. The internal liquid is usually hydrogen or helium, which is recycled through the engine. As with the other concentrated solar systems, the fluid is heated and pressurized by the solar receiver. But, instead of using turbines, this system uses the Stirling engine, which was first developed in 1812. The photovoltaic system is comprised of one or more solar panels. The panels collect the sunlight which is then converted into energy by a controller or a power converter. There are several interconnections and mounting hubs for the other components. One small photovoltaic system is enough to provide power to a single device like a garden lamp or Christmas lights. Large PV systems connected to a grid can provide enough energy for an entire neighbourhood. 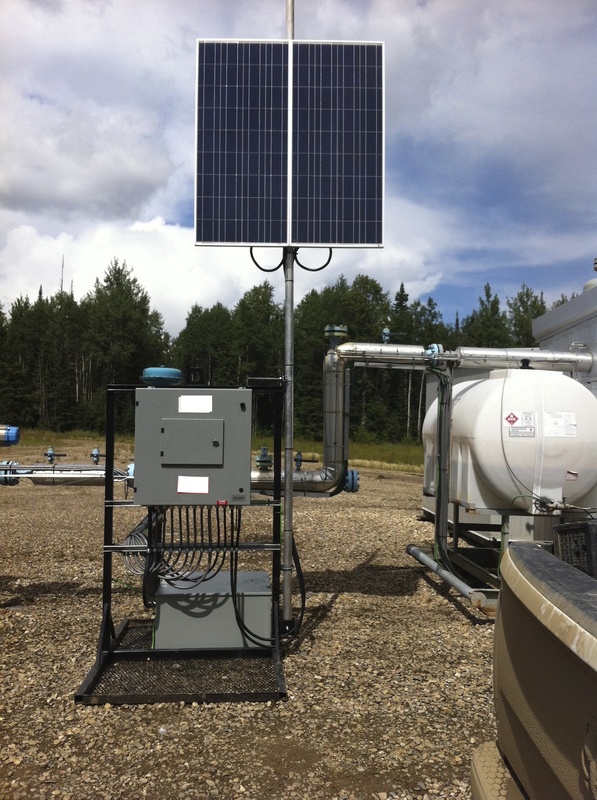 The photovoltaic system is the most user-friendly, especially on a small scale. You have probably seen many of these on calculators for decades. More recently, you will have seen them pop up all over the neighborhood, lighting backyards and front walkways. Installing a sophisticated system that will power your entire house is much more complicated. The idea and technology is the same, only on a much larger scale. How Do Electric Solar Panels Work Out For Smaller Dwellings? 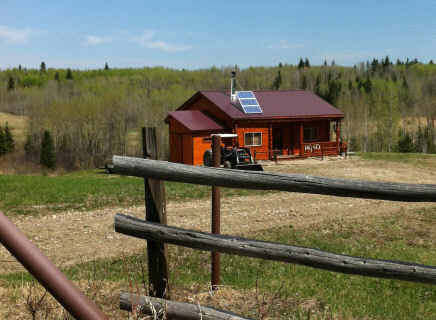 Smaller systems are ideal at the cottage where you don’t have any other source of electricity. All you need are a few solar panels, a converter and some large batteries, like car batteries. To use the power, you will also need some type of mount, like an eliminator. Eliminators are also capable of storing power, so it can double as an extra battery. The photovoltaic solar panels collect the power from the sun, which is then converted into usable power by the converter. This power is stored in the batteries, so that you will have power on cloudy days and throughout the night. Most eliminators have several different outlets. You can use any type of device that needs 110V power. 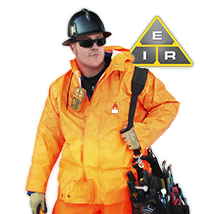 As an electrician, you will be the professional people call. Solar power might not fall into the regular definition of the electrical trade, but as more people go green, the more the need will increase for electricians to move into the field of solar power. The sun may be expected to last forever, but the lifespan of these solar systems is not quite that long. As technologies advance, they will last longer, but presently the average lifespan of any solar power system is only about 5 years. This means not only a lot of installation work, but a lot of maintenance, as well. Harnessing the power of the sun is still in its infant stages. How do photovoltaic solar panels work? We still have a lot of learning and experimenting ahead of us to truly answer that question.